Originally published in 1982. 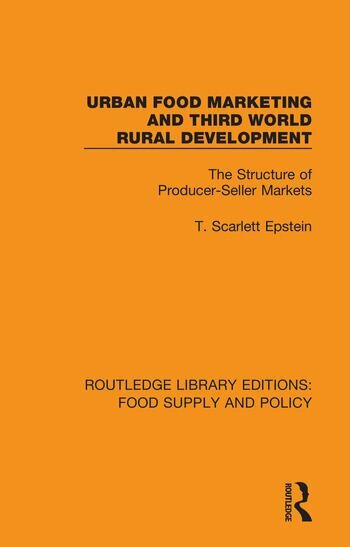 This book explores the nature of food marketing in Third World countries. Economic development invariably involves a transition from the traditional subsistence and/or barter economics to increasing participation in cash transactions. In many less developed countries this transition has been facilitated by enterprising middlemen, who provide the link between dispersed small satellite producers and urban buyers. In spite of these developments, producer-seller markets still operate in numerous countries, particularly the newly independent Pacific island states and large parts of Africa and Asia. This book examines the phenomenon of producer-seller markets, basing the study on the situation in New Guinea. The author then uses this data to construct theoretical propositions for the marketing of various food items and examines the producer-seller market, arguing that the lack of inter-regional economic interdependence is likely to promote secessional movements, particularly in states where two or more ethnic groups exist. Trude Scarlett Epstein OBE was a social anthropologist and economist, whose work in development studies focused in particular on rural economies.